The 20 best Christmas gifts for girls! 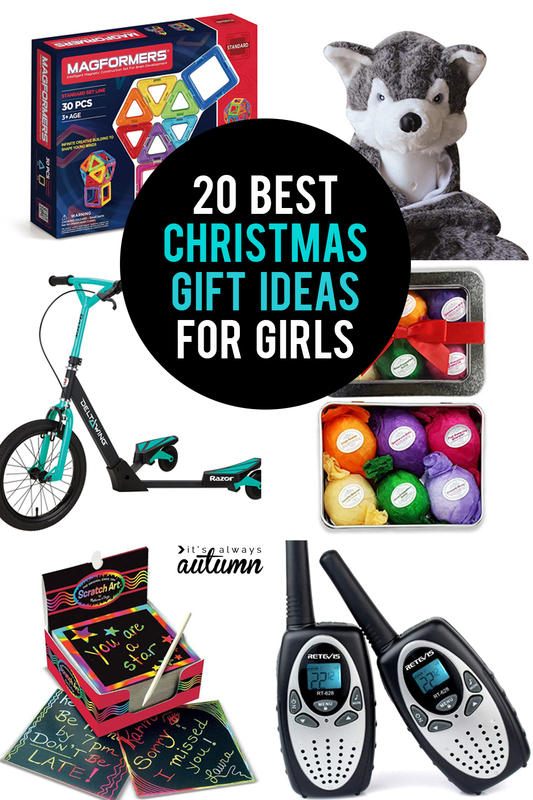 In today’s post: Find 20 of the best Christmas gifts for girls! It’s that time of year again: when I think I’m going to get all my Christmas shopping done before Thanksgiving…and then I put it off so long I end up scrambling to figure out whether Amazon will deliver on Christmas Eve (sorry UPS employees!!). I just hate wasting money on gifts that end up getting ignored or donated a few months later, so I always try to find the perfect presents. 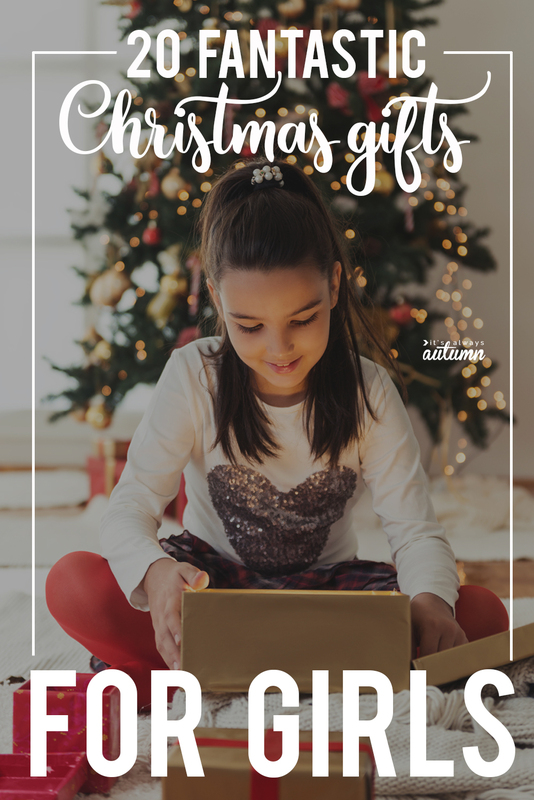 Since I’m always on the hunt for great gift ideas, I’m sharing 25 of the best Christmas gifts for girls today. Quite a few of these gifts are inexpensive, and all of them are things that will be used and enjoyed. A note before we start: I know this post is called “Christmas gifts for girls”, but that doesn’t mean these gifts ONLY work for girls – most of these gifts would be great for boys too! Tomorrow I’ll be publishing a post called “Christmas gifts for boys” and guess what – those gifts would be great for girls too. 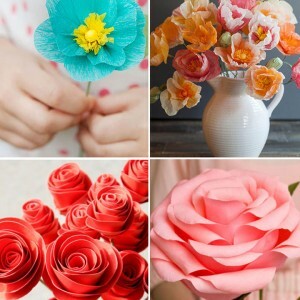 The only reason I’ve split them up into two different posts is that people tend to search “gifts for girls” or “gifts for boys”, but it’s worth checking out both posts for ideas that any child may enjoy! This is a great Christmas present for girls that encourages STEM learning. 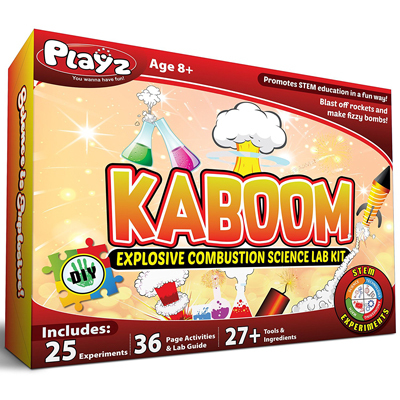 Reviewers say the very thorough lab guides helps kids perform the experiments with relatively little adult supervision. Recommended for ages 8+. 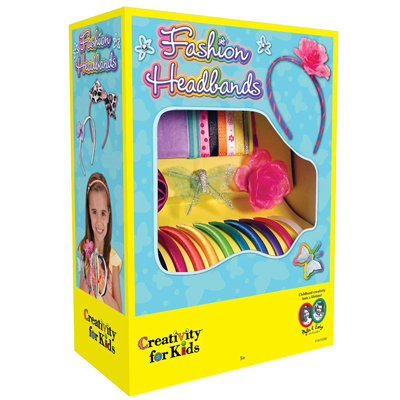 This is a great kit that allows kids to decorate 10 different headbands with ribbons, feathers, flowers, rhinestones, and more. Fun and creative. These little things are so cute! 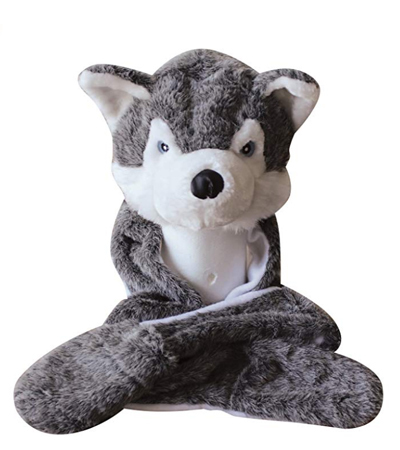 It’s a hat, scarf, and mittens all in one, and it comes in a variety of different animal designs. I got one for my daughter for Christmas a few years ago and it was her favorite gift. The one we ordered could fit both kids and teens. 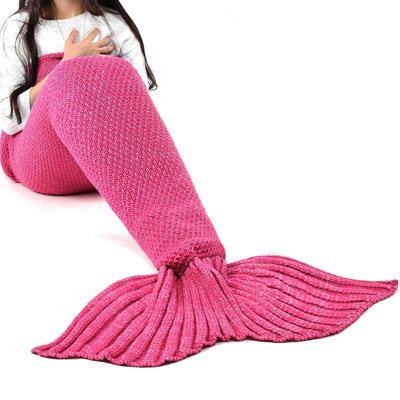 This is a soft cozy blanket that turns the wearer into a mermaid! Perfect for snuggling up in while watching movies or sitting by the Christmas tree. Really fun Christmas present for girls. My kids LOVE Perler beads. 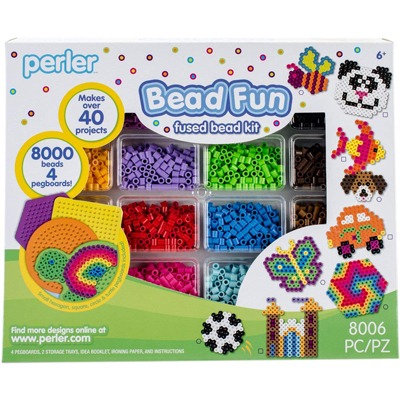 Kids use the different colored beads to create patterns and designs, then when ironed, the beads fuse together. You can find tons of fun patterns online to create animals, characters from video games and movie, and more. Or kids can create whatever they can dream up. This is one Christmas gift kids will use over and over! 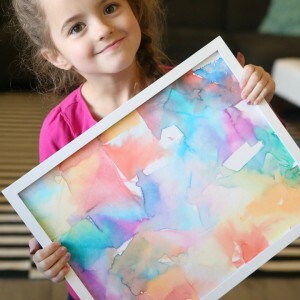 These little art kits are so clever! It’s like color by number, but kids create the design with little foam stickers. You can find a kit for just about anything your child is into: unicorns, puppies, dinosaurs, fire trucks, etc. 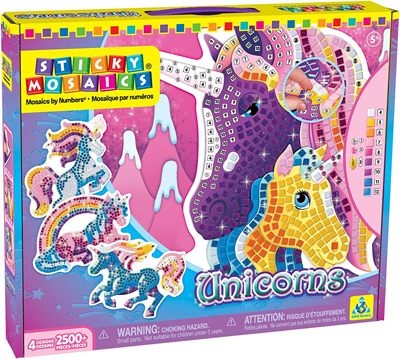 There are kits geared toward preschool age kids, and more complex mosaics for elementary age kids. 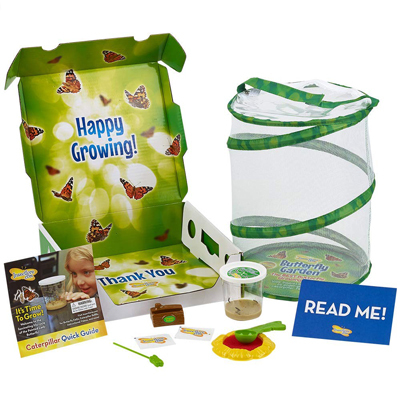 Did you know you can order your very own butterfly habitat complete with five live baby caterpillars? Your kids can watch as the caterpillars grow up, build a coccoon, and then transform into butterflies – how cool is that! This would be an amazing Christmas gift for girls or boys. 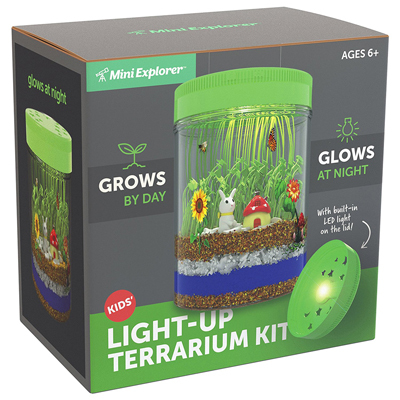 This is another cool science based Christmas gift idea for girls: a miniature garden kids can keep inside. Plenty of seeds are included, and plants start to sprout within a couple of days. Additionally, the LED light makes it glow. There’s not much that’s cooler to kids than having your own special place to hang out in. 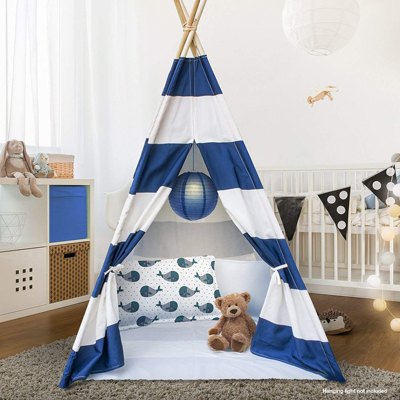 This teepee is easy to assemble and dissemble and comes with a portable carry bag. Kids can read, color, or play inside, and it’s even large enough that an adult could climb in too. 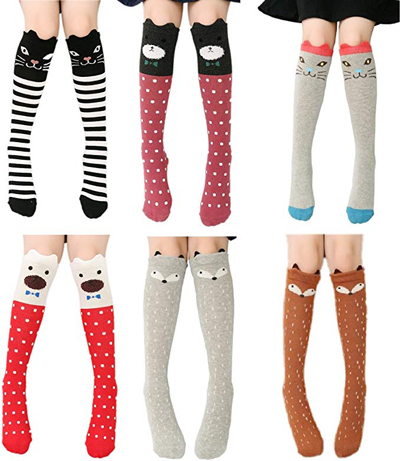 So these knee highs are about the cutest thing I’ve ever seen. You get all six pairs for one great price, and they should fit girls from 3-10. Remember making scratch art in elementary school? You get to scratch off the black surface to reveal cool colors underneath that make your designs look awesome. 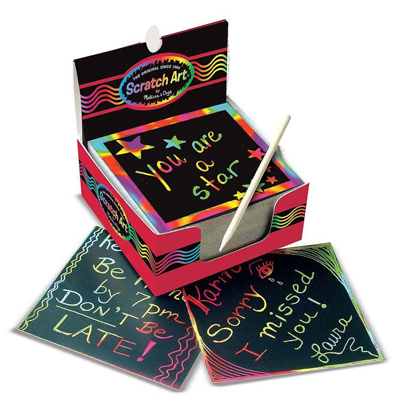 This note pad lets kids do that on a small scale, 125 times! 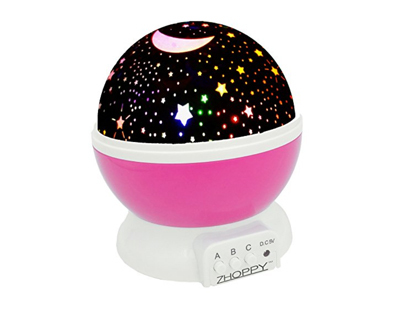 This fun nightlight projects the stars and moon onto the walls and ceiling of your child’s room. A great Christmas gift idea for kids who don’t like the dark or kids that love the stars! Walkie talkies are a fantastic Christmas present for girls or boys because they lead to loads of imaginative play. 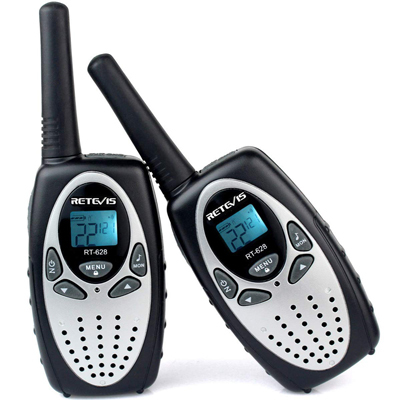 You can find cuter walkie talkies than these ones, but if you want something that works well this is the brand to get. Reviewers say these are durable and have a great range (over a mile!) without sounding crackly. The basic idea with this toy is that kids combine wood blocks of different colors and shapes to copy a design on a card or create their own. 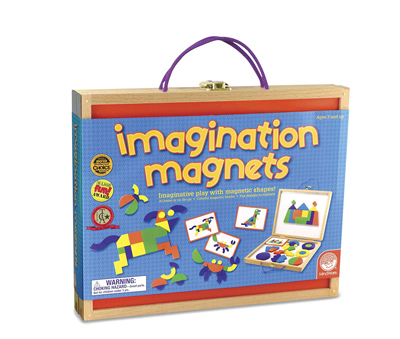 The wooden shapes are magnetic, meaning once you place a block it stays put! Very young kids will need help, but ages 4+ should be able to do this on their own, and older siblings will likely be tempted to join in the fun. Everything stays tidy in the included case. 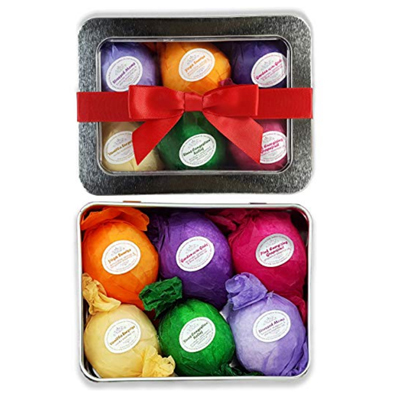 Six bath bombs for a great price, what more can I say? All natural, organic, and not colored so they won’t leave a ring on your tub! 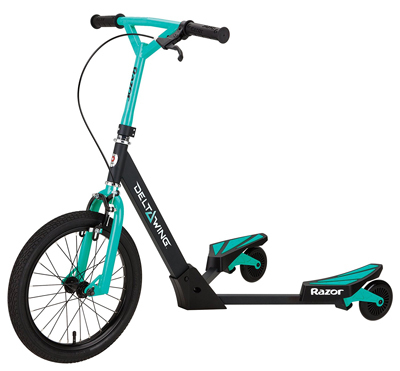 This new twist on a scooter is so much fun! Kids wiggle back and forth to make it go, and then they can glide and drift around sharp corners or spin all the way around. If you live somewhere where it’s warm enough to ride this in the winter, this is a fabulous Christmas gift idea for girls. 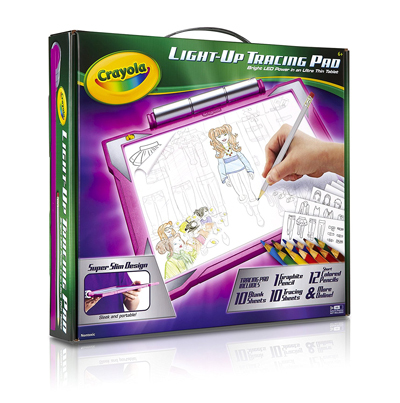 This huge coloring poster will give your child hours of coloring fun! 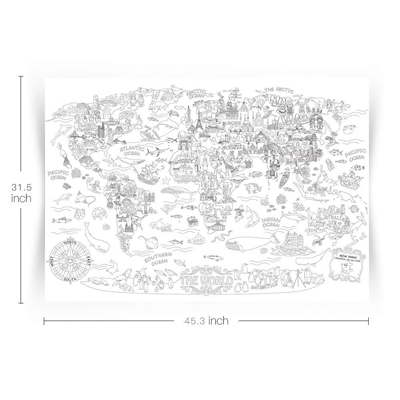 There are a few different designs and they’re all super detailed and printed on heavyweight paper. It’s fun for friends or siblings to work on together. These smooth tiles have magnets along the edges, making them super easy to build with. 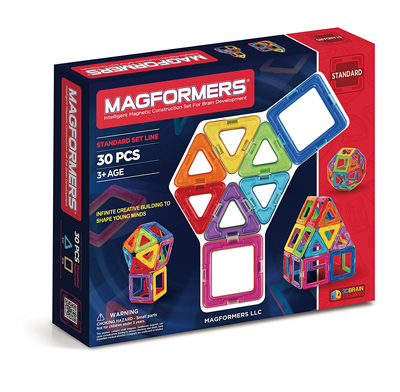 This basic set comes with a booklet that shows kids how to build flat and then pull the magformers together to create a 3D design. As with most building sets, bigger sets with more pieces will be more fun, so browse different available sets before purchasing. And finally, books are one of my FAVORITE Christmas gifts for girls AND boys. There are lots of fun series out these days, but I think Christmas is a great time to introduce kids to some classic series. Try the Little House series, A Wrinkle in Time, or Anne of Green Gables. Click here for more great book ideas for kids 8-12, and here for 30 series for kids. « The very best EASY banana pudding recipe that everyone loves! 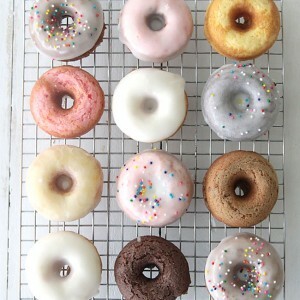 I am going to have to get the mini doughnut maker for my daughter. That is cool! Thanks for the heads up, Deana. I hope they replaced it for you! That’s one of the reasons I love buying from amazon – they have GREAT customer service. I didn’t buy through amazon so it didn’t get replaced but I do love Amazon for that exact reason! This is a great list! thanks for the ideas! I also think that is really cool to get for a 6th grader girl. I have to add my two cents on the Melissa and Doug cupcakes. My daughter got them when she was five years old and loved decorating them. However, the dry erase marker smears easily and ended up on her hands, on her clothes, etc constantly. She was always in tears about her designs getting ruined. I eventually banned them altogether because they were just so messy! I prefer their other play food sets for sure! Thanks for putting this list together- I appreciate the great ideas! Thanks for the feedback, Valerie! My friend who recommended them to me has an 8 year old daughter who LOVES them, so maybe they’re a bit better suited to older girls? Anyway, thanks for letting us know your experience! Thanks for the list! I love the 20Q, my younger cousin has one and everyone enjoyed it. You reminded me of that and I will definately be buying it for MYSELF! But will also be using it te keep my 4yr old son busy on our 17 hr trip (via car) to Namibia! Even though he cant read yet, believe me! He will also enjoy trying to keep his “secret word”! Also, I received a Kindle paperwhite for my birthday this year, and Oh Boy!! I Love it. Not being able to hold an actual book in my hand doesn’t bother me one bit…. Because how else will you be able to carry a whole Library along on holiday IN YOUR HANDBAG! Thanks Tanya! And good luck on that trip! I second the comment about the Melissa and Doug Cupcake set- so messy and lot’s of tears. The Cookie Set or Ice Cream Shop is loads better and have so many more play options for a larger variety of ages. web surfer’s contact information in to your database without having their contact. 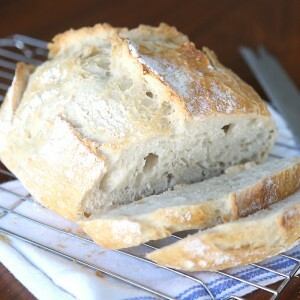 might be getting sizeable portions of web page views, I’m deciding on you and your webpage. I had similar pop together beads when I was young and loved them! My mom would let me wear them out to restaurants and I would sit and entertain myself with them while the adults talked after dinner. Learn how to join that little group of 5% who manage to make money. I got my niece that mermaid blanket last year, and I even fit into it. It was awesome. I’m loving the grow your butterfly idea. What a great idea that isn’t a toy that will break or I’ll have to figure out how to store!